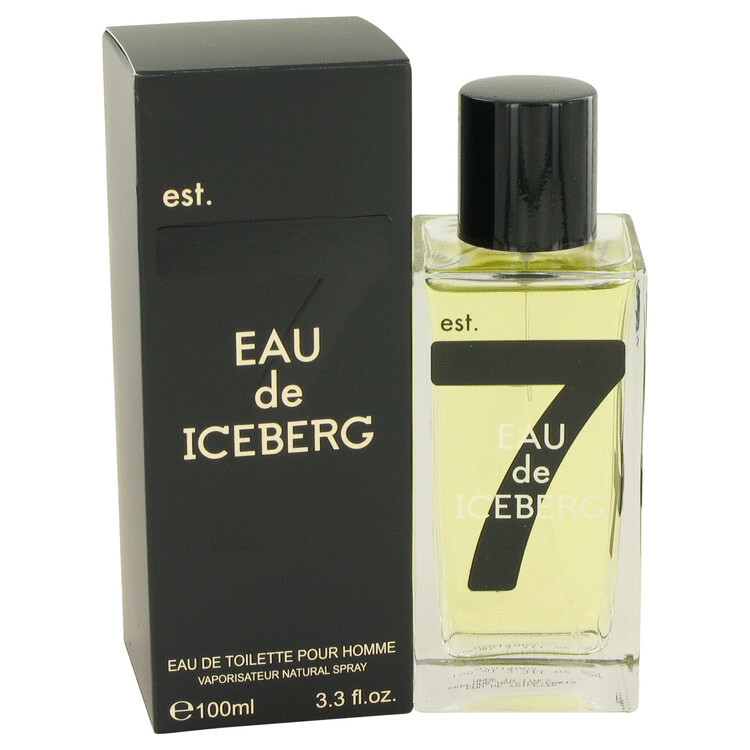 There are 7 reviews of Eau de Iceberg pour Homme. Eau de Iceberg is (basically) clean and lemony vetiver over labdanum. Not that complex, but quite well done. There's a labdanum-rich viscosity, that allows for multi-season use; and the citrus is quite natural. The particular labdanum here, throws a thin swath of grey leather onto the lemon soapiness in the "mid"; and is what gives this likeable but straight forward composition, some character. Although not enough, perhaps. But still a rather relaxing and very wearable clean scent with mild projection, and good longevity on me. Not for younger, more energetic tastes though. . The extremely affordable price certainly adds to it's appeal. Not a jump up for joy discovery, but certainly a gently uplifting "cheapie" that's worth more than it's price tag. that does not command so much attention, yet a little funky. This is a scent that fits the bill. I bought this as a blind buy based on some Basenotes chatter. Had I read the reviews of other Iceberg efforts then, I probably wouldn't have bothered. I don't know of another "house" (actually Iceberg is apparently a trademark of the ominous-sounding "Perfume Holding-Paris" and this fragrance is made in Italy) that has gotten more one-star reviews at outright pans (see Luca Turin's one-liners, for example). THIS, however, is delightful--- the light, clean feel of a sports scent without the sharp, metallic edges or dumbed down notes. It goes on very light indeed, with a wispy smile of bergamot-citrus. Half an hour later it wafts back with a flourish of vetiver and a touch of tart-sweet over musk in the base. It seems so subtle, impish, and clever that, given the lead hand reputation of Iceberg, you wonder if it wasn't a happy accident. It is soft and modest, not a "statement" fragrance by any means, but oddly persistent. Reminds me of Ariel, Puck, and all those light-footed charmers in Shakespeare. Both the materials and the composition seem of high quality, which, given the dirt cheapness of the fragrance, is especially remarkable. Great for a summer morning. Decent classic style fougere with the notes of moss-labdanum, bergamot and above all vetiver placed in first rank. Clean, lemony and subtle with a discreet projection. I suppose there is geranium in the blend. The vetiver is cool, starring and a bit exotic. Really not bad. Eau de Iceberg pour Homme opens with a very light and diluted bergamot and grapefruit mix. It is so weak that you barely notice it, and I actually sprayed my sample a couple more times just to make sure I had enough on... It makes no difference, don't bother. The scent then develops to a more pleasant, but equally mild violet wood and vetiver heart. Extremely generic and boring. And that is pretty much it, folks... The base notes listed don't ever appear on my skin with maybe the exception of a very light musk that is barely even detectable. Then everything was over in 2-3 hours max (which is way below average for me) with projection being non-existent. I almost feel the folks that designed "Exceptional for Him" jumped ship and created the appropriately named "Iceberg," as it sinks all hopes of one seeking a good and distinctive smelling value scent. Eau de Iceberg pour Homme is inexpensive to be sure, but it is so watered down, generic and bland that I just shrugged my shoulders, asking myself "Why?". Bottom line is Eau de Iceberg pour Homme is cheap, but in this case you get what you pay for. This ridiculous release earns a generous poor rating of 2 out of 5 stars. Advisory: please do not take this frag at first-sniff value. I did at the shop i visited, thinking it was one other nondescript release. Then i got back to my office and was assailed by wafts of loveliness. Few hours later i purchased a bottle. 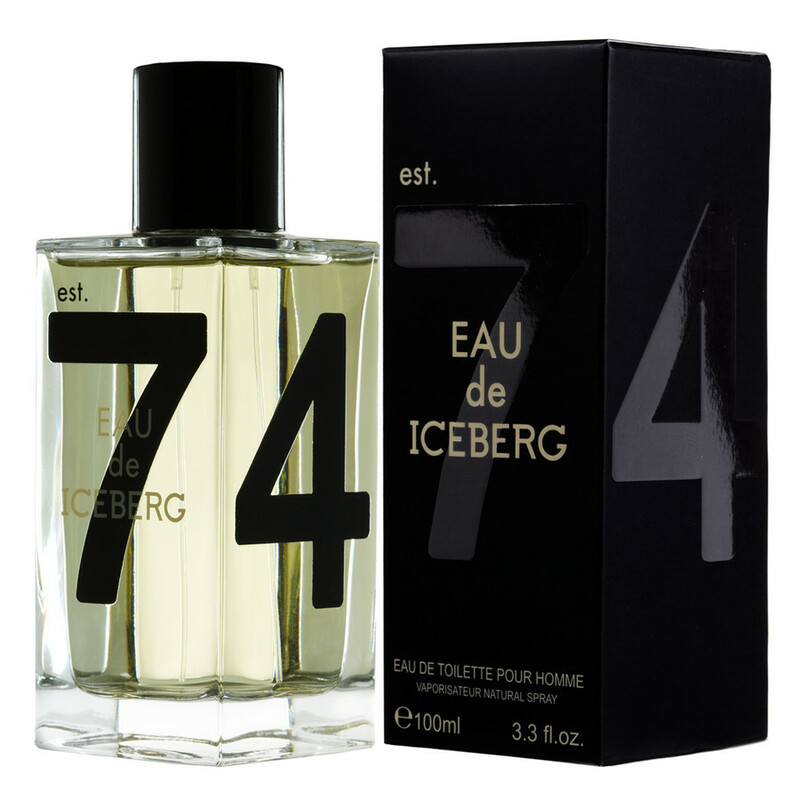 Eau de Iceberg pour Homme (one of the 74 Series), a shape-shifter bottled, is basically a light vetiver/labdanum fragrance, laced with lemon and other supporting citruses, with clean musk in the drydown. It is not a room-filling fragrance but remains quite noticeable, playing close to the skin at low volume. With less-than-parsimonious application (4+ sprays) it is long-lasting in this manner. Sometimes this is what i want in a scent. As an aside, an amplified, floral version of EdIpH exists. It is Arabian Oud's Arabian Fasion London, one of the house's contemporary releases. Eau de Iceberg pour Homme is a competent release and will get lots of wear from me, i am glad to report. Enthusiastic thumbs up! There are no member images of Eau de Iceberg pour Homme yet. Why not be the first?